12/19/14 This past weekend was fun filled! Friday night I went to a concert at the Fillmore in SF. My friend Kari and I saw The Grouch and Eligh, an underground hip hop group which was new to me, but not Kari. A coworker told me about the event so we jumped on getting tickets. Turned out to be a bomb concert! 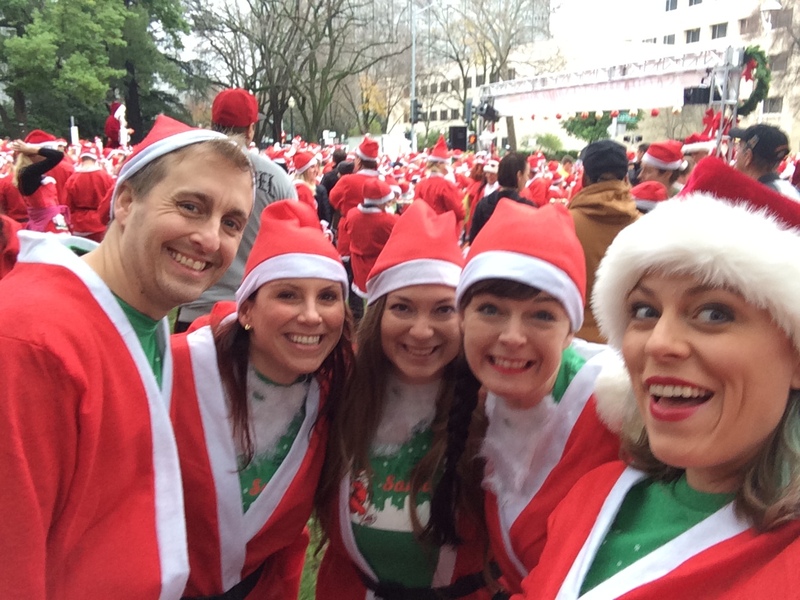 Saturday a group of us completed the Sacramento Santa Run, a 5K where everyone dresses up in a Santa suit! It was so awesome to see all the santas running around! After the run we went to Bacon & Butter in Sacramento for brunch, also recommended by a coworker. I split dishes with Kari and we had grilled cheese Benedict and lemon poppyseed pancakes. All so good! My favorites are still Bourbon and Beef in Oakland and Plow in SF. Sunday the girls all met up in Union Square for brunch and ice skating. We waited an excruciating hour and a half to be seated, nuts. 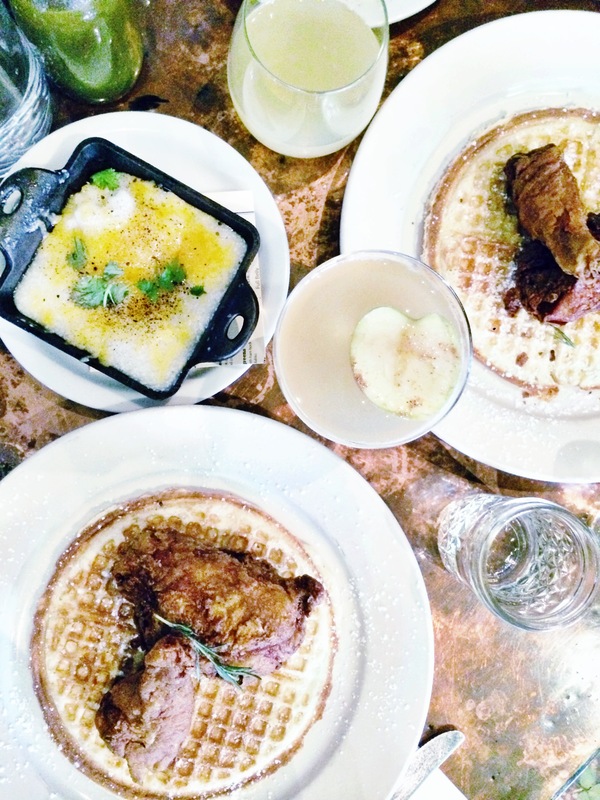 I had a cocktail and chicken and waffles. Michelle was nice enough to share some of her cheesy grits too. On our walk to the ice skating rink, Lora insisted we stop at this little cream puff bakery. It was SERIOUS. SO good. 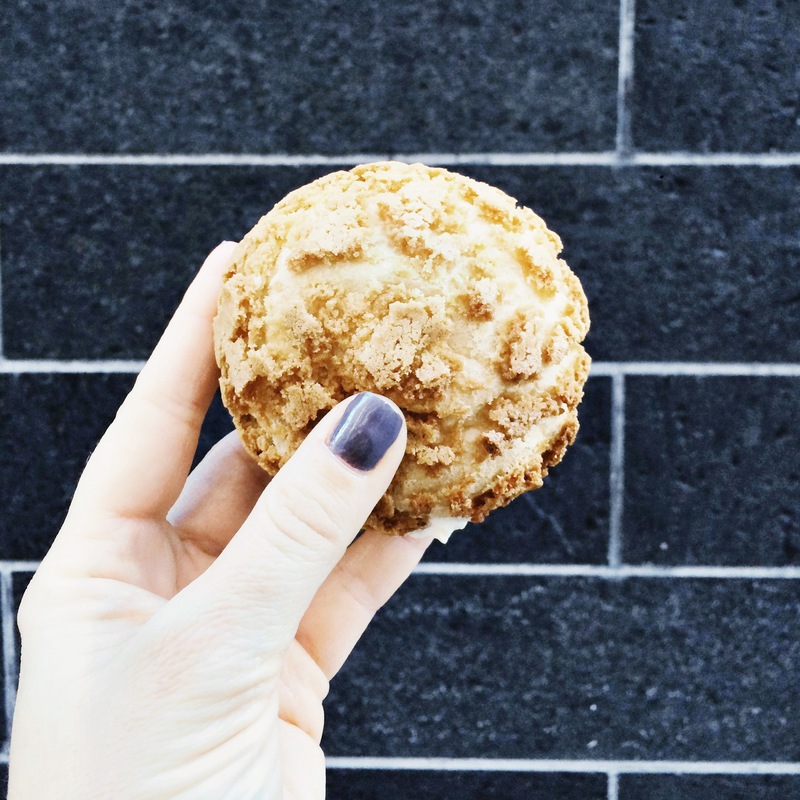 I got a cookie crunch puff and had them fill it with the Mango cream. Died.